Employers are confronted with having to regularly anticipate and measure emerging risks so they can mitigate those threats, which helps to reduce the chance of being blindsided by an unknown threat. Designing, implementing and maintaining risk management processes throughout an organization with a risk management plan offers employers a way to do a better job in identifying, measuring, and managing risks. 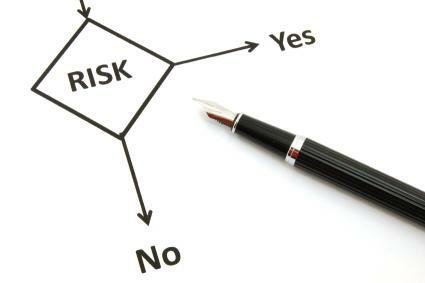 The International Organization of Standardization (ISO) defines risk management as the "effect of uncertainty on objectives" in the ISO 31000:2009 standard. To begin developing a risk management plan for your organization, you will need to identify, assess and evaluate factors that pose a potential risk to your organization. You may want to handle this internally, or think about engaging a risk management consultant to build a risk assessment, mitigation process and insurance plan. Keep in mind that not all risks are bad. Examples of 'good' risks include buying another company or making an Initial Public Offering (IPO). Those are very exciting times. Hopefully, the reward will be well worth the risk. Assess how likely the risk will affect your project or the overall workplace. How probable is it that the risk will take place and how often? Identify what your company's risk threshold. How much is too much risk? Decide what should be done to mitigate or nurture those risks. Calculate what the aggregate cost of those risks would be. Identify an employee who will be in charge of implementing risk reduction measures and how success will be measured. As a result of identifying, assessing and evaluating risks, you will be able to develop strategies to minimize risk factors with the potential to affect your organization. Elect for an integrated, enterprise-wide risk management approach with the ability to effectively identify, assess and manage risk exposure rather than an impromptu and reactive risk management structure. Install sophisticated security monitoring systems. Protect your company's intellectual property through investment in cyber security personnel and software. Develop a Foreign Corrupt Practices Act (FCPA) compliance policy. Develop hard copy and electronic data control measures to ensure you can demonstrate regulatory compliance should the need arise. Conduct contract compliance reviews to check for issues such as third party controls, joint venture operating agreements, intellectual property and software licensing, and audit requirements. Use a web-based employee travel tracking system to help immediately in case of a perceived or real threat especially for international travelers. Offer and mandate employee FCPA, fire, OSHA training as appropriate. Develop and exercise emergency response plans. Recruit and retain a dedicated security team to monitor security risks, respond to threats / emergencies, and prevent the exploitation of vulnerabilities through robust security policies and standards, and automated dashboards and applications. Augment your insurance policies to be sure that you have sufficient coverage in place. Consider if you have just the right insurance type and amount or if you need more due to new risks. For example, decide if you need terrorism insurance. Which risk management mitigation measures you select will be based on probability of risk, management support, resources allocated, and the risk management budget. Link risk management to the corporate strategy and executive-level officers. Use cutting edge technology to capture risk data. Identify a clear line of reporting for risk-related information including escalation measures. Anticipate, collect, analyze, monitor, and disseminate accurate and timely risk management data. Allot sufficient executive level staff -and if applicable, board of directors- time is dedicated to risk management. Share risk management initiatives with investors, if applicable. Recruit and retain appropriate personnel with risk management expertise. Train all staff on risk awareness to instill a risk culture in the company. Manage regulatory compliance (e.g. Food and Drug Administration, Occupational Safety and Health Administration, Environmental Protection Agency, etc.). Spearheading the development of a risk management plan will offer you the ability to be seen as someone who understands the company's big picture and one that is truly committed to the long-term growth and reputation of the company. As part of developing you company's risk management plan, you may want to consider also developing a business continuity of operations plan, a disaster recovery plan and a crisis management plan to ensure a well-rounded risk management and emergency response program. Remember that you know your business better than a risk management consultant knows your business. Get help when you need it, but don't give up the reins. Business is full of uncertainty, which leads to expected - and sometimes not so expected - risks. Employees, investors, and insurers raise the stakes with small and large businesses in light of history-making, multi-million dollar liability settlements paid out as well as government fines for corruption. Companies that ignore risk can potentially fail when a single threat is exploited or risk is underestimated. However, improving your company's risk management capabilities will help to put your company on a path to resiliency.